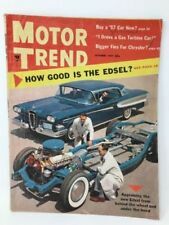 New ListingCollectible Automobile, December 2018, read once, Free s&h! Traditional Rod & Kulture Magazine # 46 - Brand new direct from the Publisher! Traditional Rod & Kulture Mag # 11 - Brand new direct from the Publisher! Traditional Rod & Kulture Magazine # 49 - Brand new direct from the Publisher! Traditional Rod & Kulture Magazine # 48 - Brand new direct from the Publisher! Traditional Rod & Kulture Magazine # 47 - Brand new direct from the Publisher! Traditional Rod & Kulture Mag # 9 - Brand new direct from the Publisher! Traditional Rod & Kulture Mag #8 Limited left! Brand new from the Publisher! Traditional Rod & Kulture Magazine # 51 - Brand new direct from the Publisher! Rat Rod Magazine Issue 54 New Off The Press. New ListingCollectible Automobile, June 2019, read once, Free s&h! Traditional Rod & Kulture Magazine # 52 - Brand new direct from the Publisher! Traditional Rod & Kulture Magazine # 44 - Brand new direct from the Publisher! 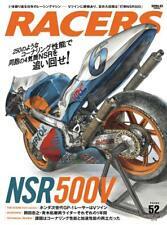 Traditional Rod & Kulture Magazine # 54 - Brand new direct from the Publisher! Traditional Rod & Kulture Mag # 24 - Brand new direct from the Publisher! Automobile magazine is a prominent periodical that's enjoyed by auto owners and enthusiasts. Since 1986, Automobile magazine has written lifestyle accounts about vehicles of all sorts, focusing on their mantra of "No Boring Cars." The magazine reviews cars from an experiential perspective, focusing on what it is like to actually drive and experience the cars. 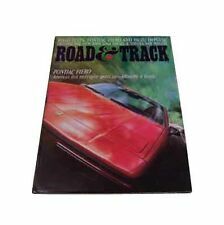 What back issues of Automobile magazine are available? Back issues of this magazine could potentially be available from as far back as 1986 when the periodical was founded. The older issues may discuss vintage automobiles that are no longer in production. What is this magazine about? This periodical reviews and tests cars and writes about them. 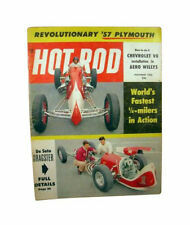 The magazine focuses on developments in the car industry, collector autos, and vehicles available for sale. It also conducts long-term tests of autos to explore the experience of actually owning a certain car. 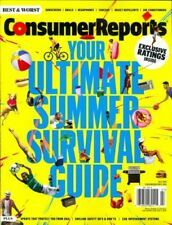 This magazine focuses mostly on anecdotal stories of driving and ownership of each car instead of relying on instrumented tests. How does this magazine rank vehicles? Every year, Automobile announces an Automobile of the Year, which represents their selection for the best available brand-new car that year. Each car for that model year is tested and ranked relative to its peers, and one car is selected annually for this honor. The car is awarded the title based on its technology, design, how fun it is to drive, and other factors. Back issues of this periodical discuss these autos annually, making it possible to see what kind of cars earned the title over the decades. Does this periodical discuss car shows? The discussion and coverage of car shows are key pieces of this magazine. Every year, this publication covers the Detroit Auto Show, the New York Auto Show, and several other major auto shows that take place around the world. This coverage discusses concept cars and their potential impact on a manufacturer's lineup and vehicular innovation as a whole. The coverage is extensive, discussing all concepts on display from each manufacturer. Does this periodical discuss car styling? 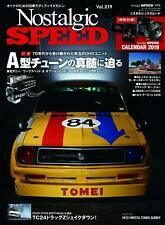 Yes, discussion of car styling is an integral part of this periodical. Designers like Robert Cumberford are contributing editors who write columns discussing the styling of contemporary or collectible cars. He provides detailed critiques and criticisms of each car, identifying where a car may harken back to older styling or where it may be attempting to do something unconventional. His pieces are often strongly worded, but it makes for entertaining reading. Content provided for informational purposes only. eBay is not affiliated with or endorsed by Automobile magazine.